A deeper look at what it means to lead an organization as both a CEO and Board member, and the critical individual components these leaders must possess to effectively govern. The ICICI Bank Videocon loan fiasco is yet another big one. Investigative agencies are keeping themselves busy, the media and all other interested parties are also busy guessing what is behind this deal and if indeed Chanda Kochhar and her husband Deepak Kochhar are behind the supposed Rs3250 crores ($473 Million approximately) Videocon largesse. Now that’s a big enough amount. The truth should be should be out and the facts laid out on the table. If indeed, Messers Kochhar have their hands dirty, the law should take its own course and deal with them accordingly. Nobody in their stable mind will ask for consideration to condone the guilty. L’affaire ICICI is an interesting one, a grave one and hence the high decibel speculations around the facts, which still no one knows fully — or very few know of the truth, as of now. If things are black or white, then what is there to speculate? But this article is not about ICICI bank or the supposed fraud. It is about the grey zone, the role of governance boards, the role of management, the role of CEOs, the interplay play of perception versus facts and the wanton lust for blood. CEOs are not standing for elections. They are here to do a job, a good job. Let me elaborate a little more. This affair at ICICI is not an exception, nor a rarity. Nor is this kind of anomaly located only in the private sector; these are also visible in the public sector, as well as in the non-profit sector. This malaise exists everywhere and the more prolific the brand, the more prolific the CEO, the more prolific the issue, the bigger is the story — naturally. In the age of 24x7news, every sensational news is great news. Like one of my ex- board members would say- dog biting man is no news, man biting dog is the big news!….no wonder, most reporters are hunting for stories of the latter kind. In the ICICI bank episode, most articles written about this issue, not surprisingly –are baying for blood. The blood of Ms. Kochhar and to some extent, the blood of the board. The board had stuck to its guns giving Mr. Kochhar a clean chit, initially. The CEO has stuck to her seat, with stoic silence. Now presumably she is on extended leave till inquiries are over. The regulators and the auditors are behind the veil of processes and not yet in the forefront of the debates, as they are expected to be behind the scenes anyway. Questions of morality are mixed with questions of legality and everyone expects the CEO to step down. In a crisis, you need a fall guy. In this case, a fall woman — Ms. Chanda Kochhar. Is she guilty, is she not — is the vital question. Let investigators unravel the truth. Can anyone in their right frame of mind, ever condone anyone who has committed deliberate misdemeanours? But let it be proven unequivocally, before coming to incongruous conclusions. Remember, one is innocent, unless proven guilty. But who cares? Sure, CEOs are finally accountable for all good things and bad things — as head of the executive. CEO’s are expected to be infallible, perfect and whilst they are selected in by the Board, in times of public crisis, they are sometimes elected out because of public pressure. That is a basic flaw in governance. CEO’s are not standing for elections. They are here to do a job, a good job. Same with boards — they are elected by their stakeholders/shareholders — they are expected to do a job, a thorough job. The moment when the ‘selected in, elected out’ phenomenon comes to play without proper process, the tectonic fault lines between managements and boards arise. Of course, no one will acknowledge this phenomenon but history is rife with examples of boards coming under pressure to often take decisions which are politically correct, but technically faulty. And then in order to make up for flawed decision making, crucial decisions are ‘retro manufactured’ to make it look plausible and correct. Professional boards need to question CEO’s, make them accountable. Professional Boards also need to question themselves and make each other accountable. To be fair, history is also rife with chief executives taking decisions that may be faulty and accountability lies with them to either correct the same or exit. Hence, CEOs are not being left behind in this tirade. If a mistake has been made, it is important to own up and face the consequences. But mistakes are of different hues and colours. There is a clear distinction between deliberate frauds versus errors in business judgement but vitiated public slandering usually blurs this fine line, leading to fallacious decision making at the highest levels. Quite often, issues of morality are mixed with issues of technicality. But questions of morality are often subjective and vary from individual to individual. Questions of legalese are not so fluid cannot be subjective but can only be objective. History does have few examples of chief executives taking moral responsibility for presumed or definitive errors in judgement. Such examples are few and between, often a rarity. Yet, boards often take the easy way out in several ways- accepting the executive’s resignation, make politically right statements and getting on with their own lives. The fall guy (or woman) chief executive takes the blame (sometimes morally, remember?) and the board members then relax in the airport lounge on their way back, lauding themselves of the terrific governance mechanisms they just administered. Don’t be in a management or governance position, if one wants to succumb to public applause as the sole lens for decision making. Other aspects, and often underrated, are instances of a cosy relationship of the CEO and Board members. This is not just between CEO’s and Board members but also within members of the same Board. Everyone loves scratching each other’s back and it’s a nice warm world to be in when things are comfortable. Professional boards need to question CEO’s, make them accountable. 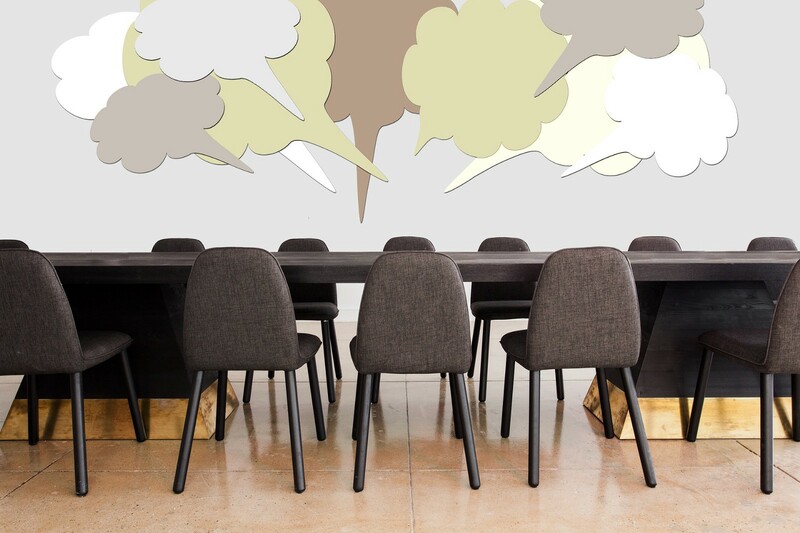 Professional Boards also need to question themselves and make each other accountable.Unfortunately, that’s an uncomfortable proposition –how to challenge your own ilk? More often than not, many of these board members are people with impeccable external credentials, have their own reputations to keep, their own organisations to run and don’t want to disturb their status quo. They take the easy way out — nodding in choreographed unison, manufacturing outcomes that are comfortable for themselves. Decisions that are not necessarily healthy, sane or even strategic for the organisation they are beholden to in the first place. Both boards and managements need to take technically, morally and legally tenable decisions –and not decisions where the centre of gravity of such a decision is all about political correctness. If they choose to do the latter, they should be in the business of politics, not in the business of running businesses. The phenomenon of selecting in –electing out needs to be strangulated. Join the exciting work of politics, better still join an opera but don’t be in a management or governance position, if one wants to succumb to public applause as the sole lens for decision making. Morality is subjective– it is an increasingly rare attribute nowadays and an individual trait. Use it wisely and first be morally right, to even exercise that right. This applies to both management and boards. Public stalwarts who profess deep alternative paradigms need to practice it at opportune moments and not scamper at the nearest hole visible to them at moments of full blown crises. Politically correct but technically flawed top level decisions have a way of coming back to bite the same stalwarts and the organisations they govern or manage sooner or later. Last but not the least, it is only during moments of crisis the entire gamut of sequence starting with key organisational components of Vision, Mission, Goals, Strategies and Values are the true beacons for an organisation. Any significantly strategic decision that is taken by boards and managements during these turbulent moments may determine the future trajectory of the organisation. Any strategic decision made without referencing these components is a recipe for disaster. By far, crisis moments are Values judgement moments and how an organisation deals with that situation, determines both internal health and organisational future. No doubt, accountability is the key to organisational governance. Every segment of the top organisational hierarchy has to play their true, honest role. A flawed process will always lead to flawed outcomes. Looking for fall guys may solve an immediate problem but such decisions will always come back to bite such organisations in the long term. If anyone wants to still play to the gallery, join a theatre.